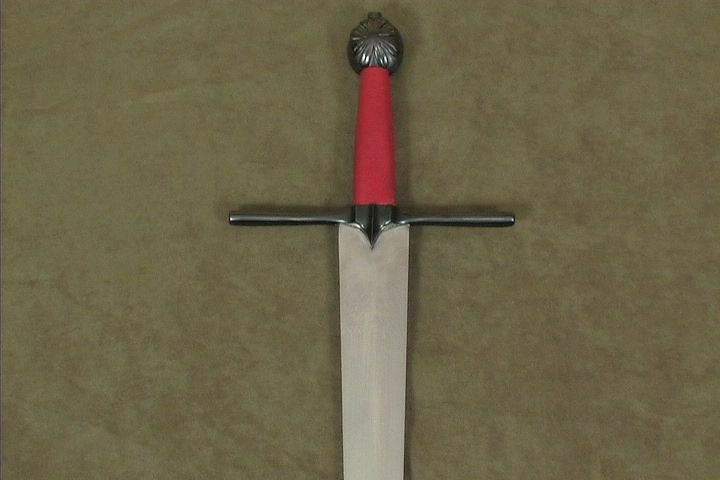 Born in the days of late Antiquity, by the 15th century the knightly cruciform sword had already undergone over a millennium of refinement and specialization. 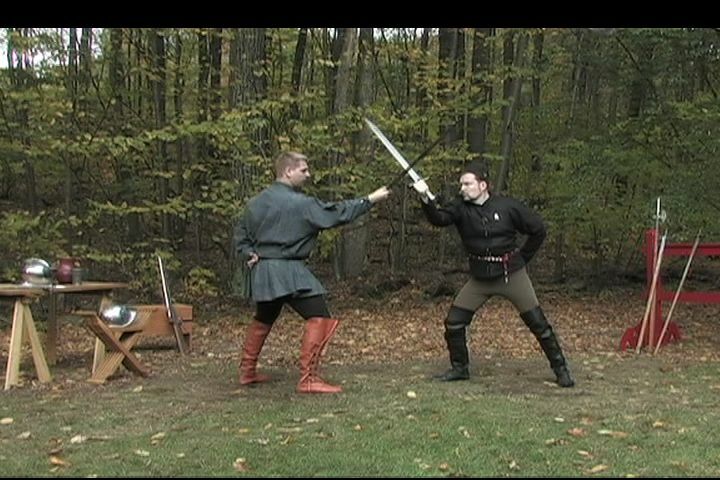 It could be wielded alone, or with a variety of different shields, both on foot and on horseback. 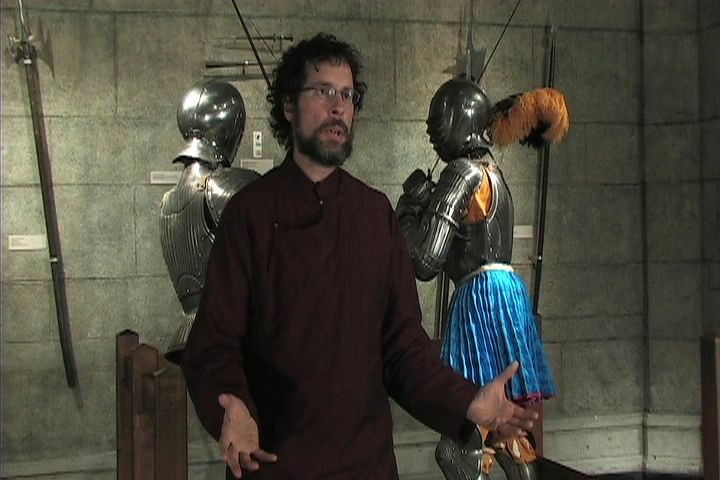 On foot, it was often accompanied by a small hand-shield, or buckler, where it became the popular sidearm of archers, spearmen and even rowdy university students looking for a little exercise or mischief in crowded city streets! 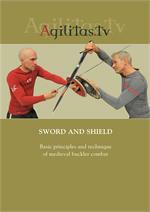 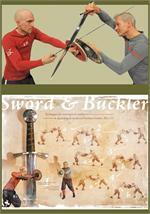 - A holistic approach to all German single-handed sword use, with and without a buckler. 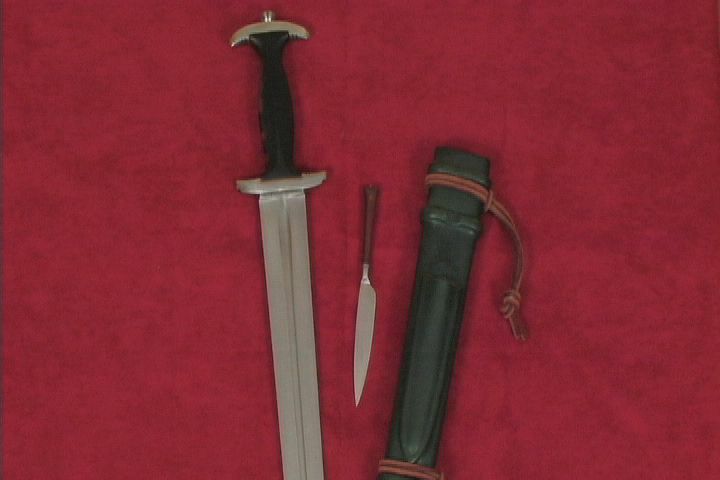 Unique to the German lands was a falchion-like, "sword-knife", the messer. 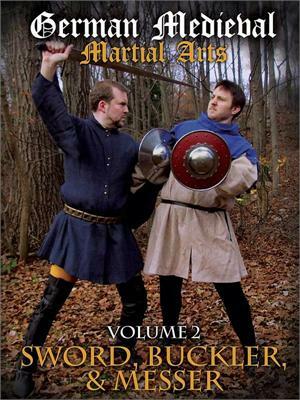 Wielded much like the arming sword, this no-nonsense weapon would grow in popularity with fencing masters, until it was second only to the longsword itself. 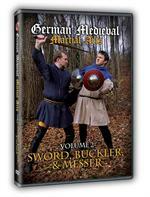 Medieval combat expert Christian Henry Tobler continues his exploration of the lost world of chivalric fighting arts, with a detailed look at both sword and buckler combat, and the use of the messer. 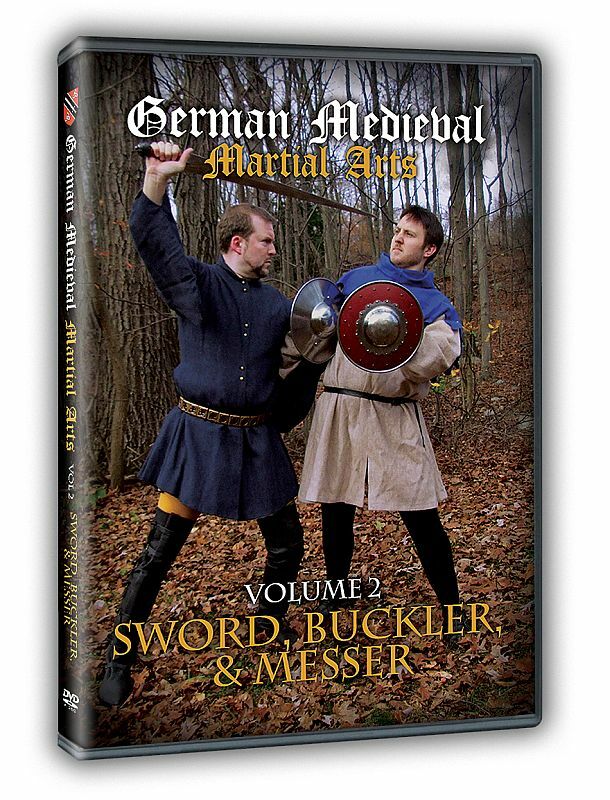 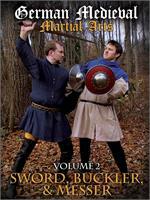 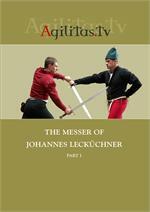 German Medieval Martial Arts, Volume 2: Sword, Buckler and Messer provides a complete overview and training curriculum for single-handed sword use, with and without the buckler. 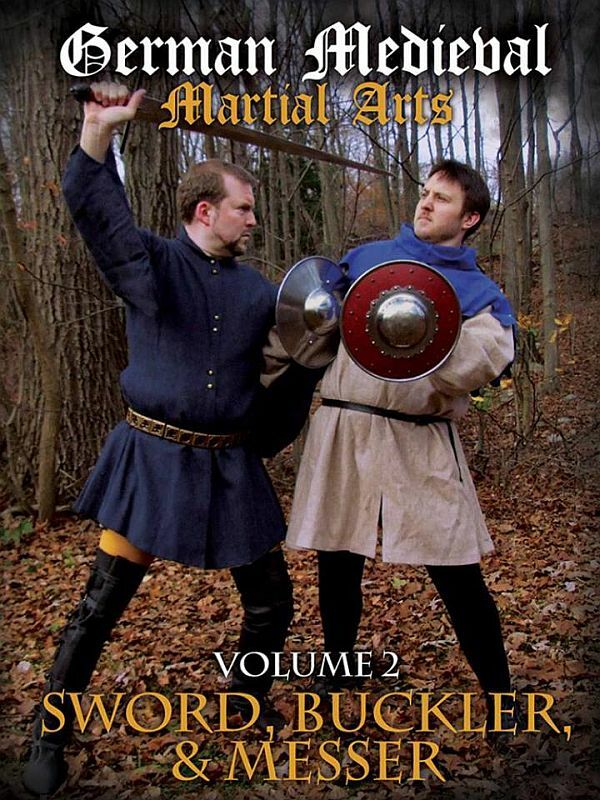 Guards, blows, buckler strikes and disarms taken from the writing of Medieval masters-at-arms are meticulously depicted and broken down with step-by–step instructions for the individual student or training group. 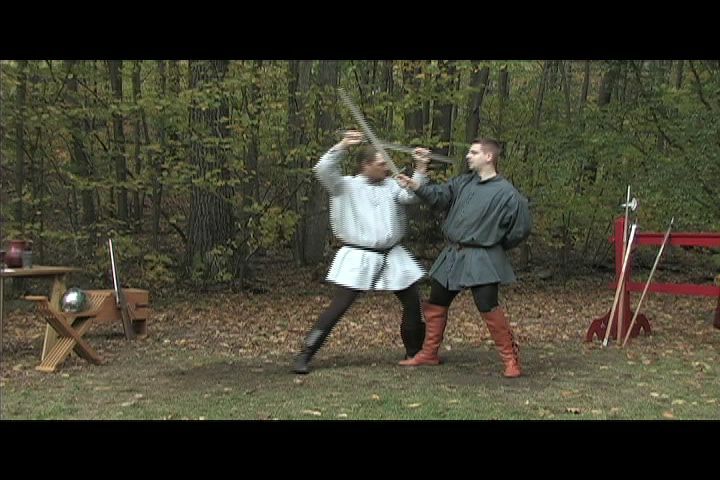 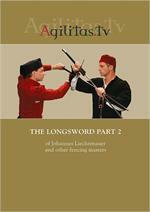 But more than just drills and techniques, you will learn the history of the sword's evolution and its role in the personal combat and on the battlefield. 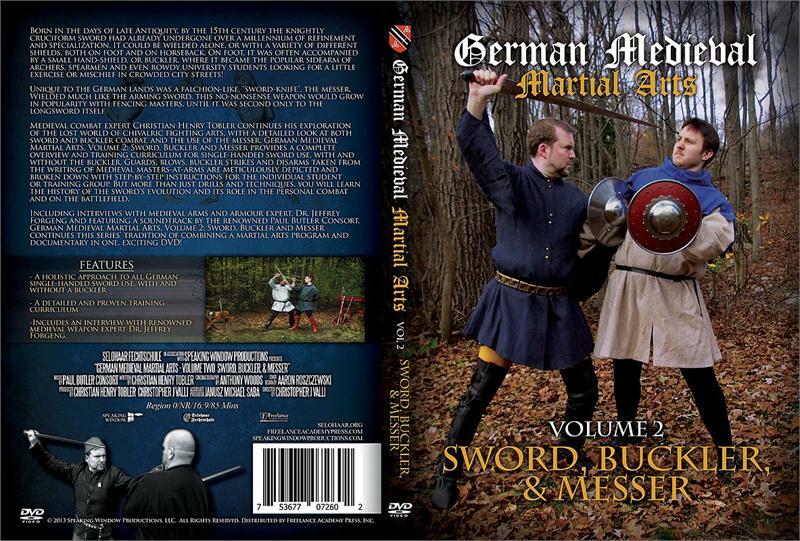 Including interviews with medieval arms and armour expert, Dr. Jeffrey Forgeng and featuring a soundtrack by the renowned Paul Butler Consort, German Medieval Martial Arts, Volume 2: Sword, Buckler and Messer continues this series' tradition of combining a martial arts program and documentary in one, exciting DVD!